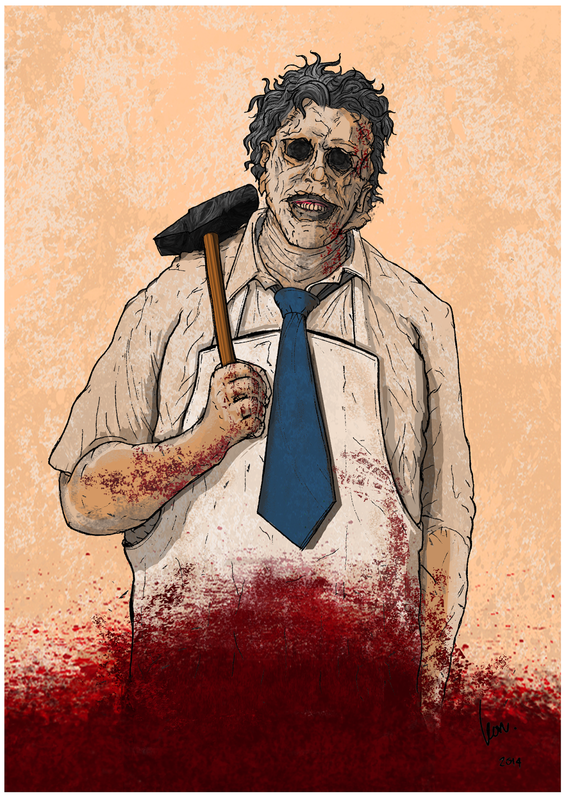 Mr Leon Taylor: The Texas Chainsaw Massacre - Leatherface - 1974, Fan-art. The Texas Chainsaw Massacre - Leatherface - 1974, Fan-art. The Texas Chainsaw Massacre, 1974, Fan-art. I really love and enjoy a good horror movie. This was one of my favourites from the moment I saw it. Such great shots and at times still just terrifying with some of the chase scenes. I roughed and cleaned the linework with pencil (2B) , colouring it in photoshop (CS6). I wanted to have my take on the iconic image. Having a comic book feel to the overall colour palate, but more bloody than the original.